UPDATE (5 August): Seven people have lost their lives following an attack by suspected Ugandan Islamist rebels from the ADF – in Oicha, in DRC’s troubled eastern North-Kivu province. The 30 July attack took place at about 5.30pm, local sources told World Watch Monitor; the Congolese army, supported by UN peacekeepers (MONUSCO), repelled it. According to the commander of operations, Gen. Marcel Mabangu (quoted by UN Okapi radio), two civilians, three attackers and two Congolese soldiers were killed. 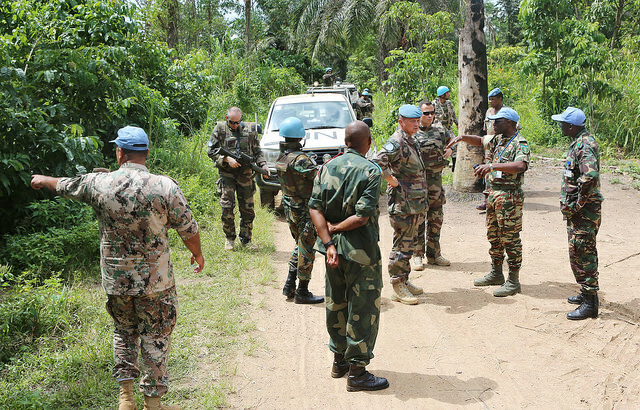 A MONUSCO peacekeeper was injured. Locals are reported to have learnt that the attackers said their objective was to enter a Protestant mission to steal medicines. One victim was a school teacher at a Catholic church; a house belonging to another Catholic church member was completely burned down. So far, 350 families have been displaced to live in classrooms or with host families. In this atmosphere of insecurity, President Kabila arrived in Beni, on the first stage of a visit to this volatile region, which has been ravaged by deadly attacks attributed to ADF militants and other armed groups. 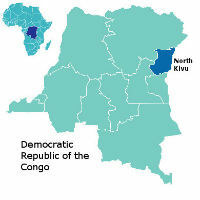 An attack by unknown armed men early on Tuesday morning (5 July) has claimed the lives of at least nine Christians in the volatile eastern region of the Democratic Republic of the Congo. Local sources contacted by World Watch Monitor said the assailants stormed the Tenambo, Nzanza and Mamiki communities, near an army base on the outskirts of the town of Oicha, between 4am and 6am. Armed with guns and machetes, they looted homes, taking food and cattle as plunder. The incident was confirmed by security forces and the Administrator of Beni territory, Bernard Amisi Kalonda, who said the death toll may climb higher as searches for victims continue. Eastern DRC has been beset by deadly violence, with 1,116 killed between October 2014 and May 2016, according to local NGOs. Another 1,470 people have been abducted, they say, while more than 34,000 families have been forcibly displaced. There have also been numerous cases of sexual violence against women and children. The area is nearly 96 per cent Christian, and the impact of the violence has been immense. 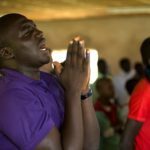 A pastor in the area affected by the 5 July attack told World Watch Monitor that all the victims, including an elder from his church and five women, were Christians. The attack provoked panic; many fled the area and sought refuge in safer areas of Oicha. A local activist said security forces did not heed the warnings of an imminent attack, after leaflets were distributed in Beni and the surrounding area. The three communities attacked by rebels were only 200 metres from an army position, and about three kilometres from a UN base. Despite persistent gunfire and calls for help, no-one intervened, local sources said. An army spokesman has denied the accusations. The Congolese government has always attributed responsibility for attacks to the Islamist militants of the Allied Democratic Forces (ADF). But a report published on 21 March by the Congo Research Group, an independent group linked with New York University, has cast doubts on that assessment. The report, titled “Who are the killers of Beni?”, says that a number of actors and interests have fuelled the crisis in eastern DRC. Rather than a foreign Islamist group driven by revenge, ADF rebels have forged strong ties with local groups and militias over the course of 20 years of insurrection around Beni, it says. Adding to the criticism that the Congolese army has been passive in the face of the violence, the report claims that the Congolese government and MONUSCO (the United Nations Organization Stabilization Mission) have not put sufficient effort into addressing the crisis. Moreover, the ADF has not acted alone, it says. The report adds that in addition to commanders directly tied to the ADF, members of the national army and local militias have also been involved in attacks on civilians. “Our researchers have documented cases in which [army] officers discouraged their units from intervening during massacres, and there is extensive evidence indicating that members of the [army] have actively participated in massacres,” the report said. The Congo Research Group recommended that both the DRC government and UN peacekeeping forces investigate the violence committed in the Beni vicinity since October 2014 and determine responsibility for the massacres. In May, local NGOs wrote to Congolese President Joseph Kabila to denounce the ongoing killings of people in eastern DRC, particularly in Beni and Lubero, in North Kivu Province. But the violence continues. The UN’s 2016 Global Humanitarian Overview documented the continued presence of numerous illegally armed groups in DRC. It also highlighted the scale of the humanitarian disaster.